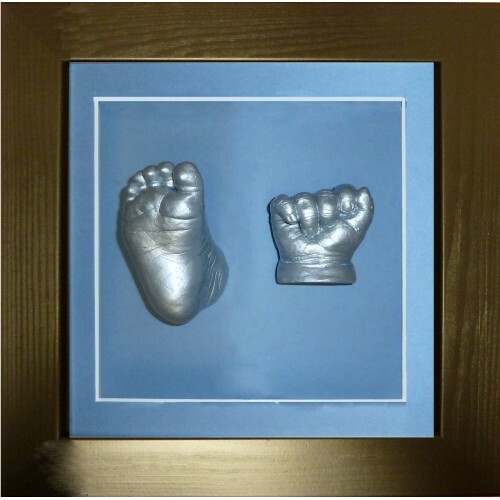 This is a beautiful box-framed, complete casting kit; this classic framed baby casting kit includes an 8”x8” (204mm x 204mm) Flat, Black wooden, square box frame, with approx. 2” (50mm) depth at the back to house your casts in, which is plenty to house even a curled up fist, which is naturally how tiny babies hold their hands. 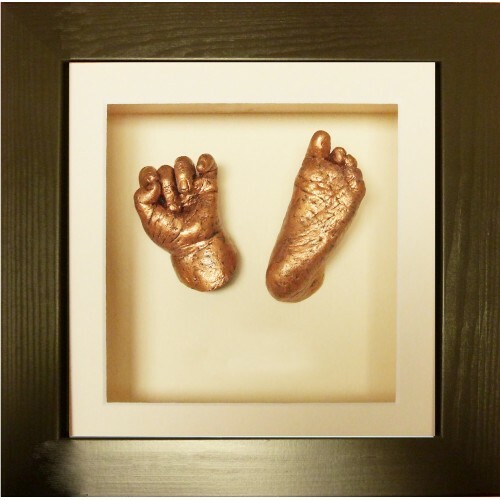 The black, wooden frame includes a mount, so the available space inside the mount is 6"x6" (152mmx152mm), this is a good space which you can normally easily fit two casts and with a smaller baby, you can even do two feet and a hand in the centre, which looks amazing. 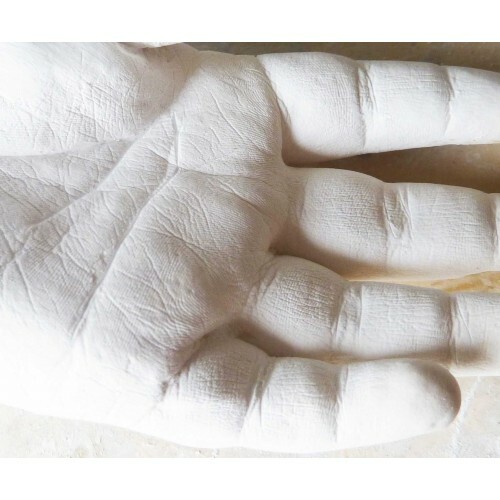 There is enough material to make up to 6 baby hand or feet casts, giving you enough for a few practices before you create your casts that you are going to display in your frame, this kit supplies enough materials for you to practice with to enable you to get the hang of casting, not just enough for two attempts and that's all, this kit does allow for a few mistakes along the way! Simply choose which colour paint you would like with your kit from the drop-down box, even a paint brush is included in our kits. 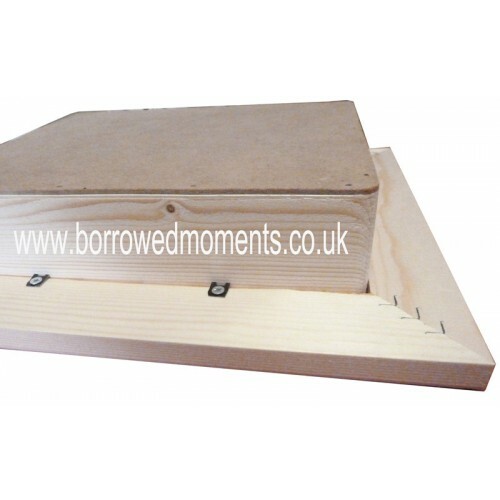 Our casting kits also contain all the necessary fixings for the frame and even glue for fixing your casts into the back box, you will be supplied with professional finishing items to produce a quality, finished item. This casting kit comes with easy to follow instructions and is a perfect gift for a new baby, enabling you to create a beautiful, complete keepsake all of your very own. All presented in a gift box. This price is inclusive of VAT and we also offer FREE UK MAINLAND postage, for all other areas we offer a small subsidised posting charge.